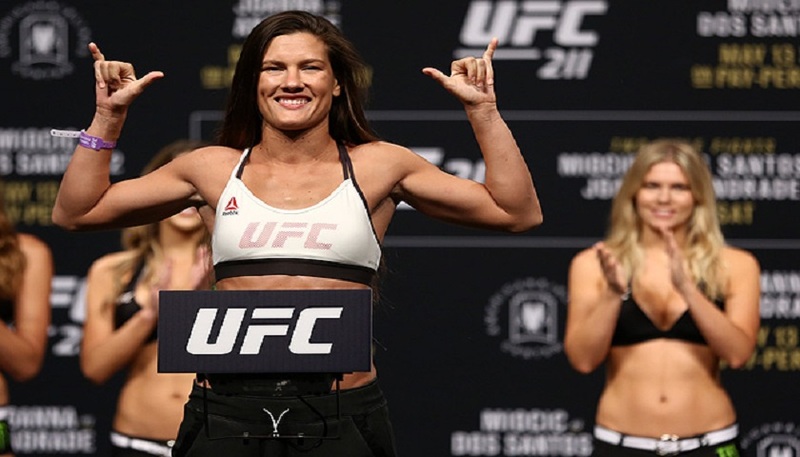 Today, Cortney Casey’s UFC 211 unanimous decision win over Jessica Aguilar was overturned by the Texas Department of Licensing and Regulation. The commission changed the win to a No-Contest, and suspended Casey for 90 days. As per the norm, drug tests were administered administered before the May 13 event. In this case, Casey was tested by the TDLR in Dallas and and the results found an elevated testosterone-to-epitestosterone ratio. Anything higher than a four to one ratio is flagged in Texas. Casey’s was 5.4:1. Marc Raimondi for MMA Fighting reached out to UFC vice president of health and performance Jeff Novitzky for comment. Also, re: Casey. This is a Texas sanction only, as of now. Jeff Novitzky tells me the UFC has not heard anything from USADA about her.